…in three easy steps we go from the JRP being instructed to basically conduct an EA of the project, taking “need for the project” into consideration as part of that EA, to the JRP in effect usurping its own mandate by deciding to concentrate on the need for the project, with passing reference to environmental impacts. With this classic bait and switch manoeuvre, the JRP is signalling to the legions of people and NGOs who oppose the project on environmental grounds: If you want to defeat this project, you’ll have to convince the panel that it is not in the public interest. 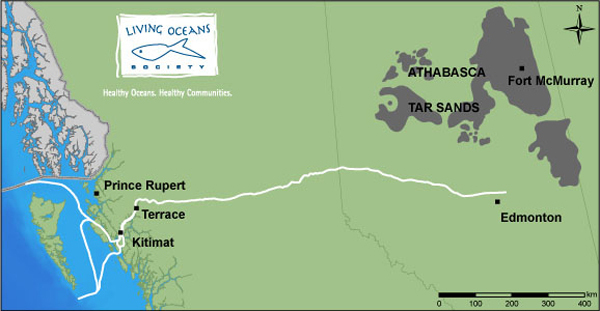 Please read the full article here, and learn about the JRP’s new strategy to push Northern Gateway through. This entry was posted in News and tagged coastal ecosystems, harper government, marine disasters, northern gateway, pipeline project by haidagwaiicoast. Bookmark the permalink.